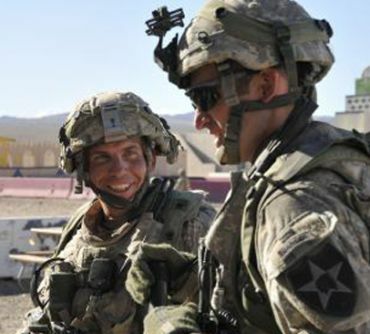 American soldier Staff Sgt Robert Bales was on Friday formally charged with 17 counts of murder of civilians, including women and children, in a shooting rampage in Afghanistan. Bales, 38, allegedly armed himself with a pistol, rifle and grenade launcher and shot men, women and children in a nighttime raid that stands as the worst American atrocity since the beginning of the war in Afghanistan. He was also charged with six counts of attempted murder over attacks on a man, a woman and four children in southern Afghanistan on March 11, the Los Angeles Times reported. The charges were given to Bales at the high-security army prison at Ft. Leavenworth. The incident has deeply shaken US-Afghan relations and fueled outrage against the US and its continued presence in that country. The formal charges now trigger what is expected to be a long and protracted military legal fight that could result in his execution or a sentence of life in prison with no parole if he is convicted. His attorney, John Henry Browne, has maintained that Bales remembers very little of the incident and has only fleeting memories of what happened before and after the attack. John Carter: First flop of 2012?